Obalon® is the first and only FDA approved swallowable gas filled balloon. The Obalon Balloon System helps facilitate weight loss by taking up space in your stomach so there’s less space for food and you feel satisfied longer. Three balloons are placed for a six month non-surgical treatment, combined with a professionally supervised nutrition and exercise program for optimal weight loss. 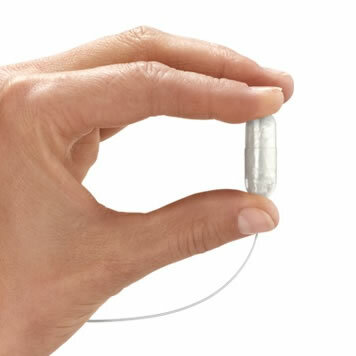 FDA Approved, Nonsurgical — First and only swallowable, lightweight balloon system for weight loss. takes less than 10 minutes and requires no surgery or sedation. Studies show that optimal weight loss is achieved with 3 balloons and those treated with 3 balloons lost more than 4x as much weight as those treated with 2 balloons.2 The Obalon Balloons have the capacity to hold more gas than any single balloon, taking up more space in your stomach. The process of gradually filling and inserting the balloons over a three month period was designed to improve safety and more comfortably conform to the shape of your stomach. Non-Surgical — A doctor administers a swallow-able capsule that contains one of the balloons. A thin, flexible microcatheter facilitates balloon inflation. The balloons are administered over 3 months and are removed after 6 months. Non-Anatomy Altering — Unlike weight loss surgeries, Obalon is not a permanent implant and does not permanently reroute your digestive system. The Obalon Three Balloon System simply fills your stomach which allows you to feel fuller, quicker. Swallowable Balloon — Insertion of the balloons is completed in about 10 minutes, with no hospital stay required. The ease of placement allows the balloons to be administered without the use of sedation. You can get in and out and on your way to weight loss. Is Shape*ology right for you? Find out if you’re a candidate for our services. Right For Me?